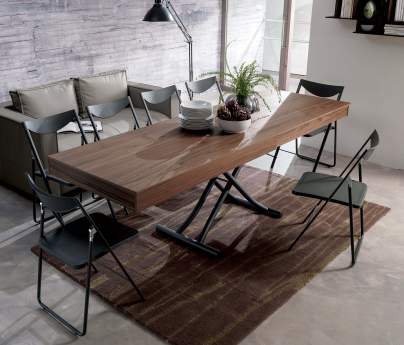 We're passionate about saving space, we believe that choosing well made considered furniture choices for your home will add to your enjoyment of it. All our products revolve around you, whether you're inviting your family to stay over or entertaining 10 for dinner. All our products add space in one way or another to your home. We’re space saving experts, so we are constantly on the look out for products that make and improve the space we live in. As the UK’s leading quality storage bed and sofa bed specialists it was only a matter of time before we looked at wall bed designs to see if we could bring anything new to the market and improve on existing products. A quick search online reveals that there are loads of wall beds available, they seem to be divided into two categories, very cheap and very expensive and the surprising thing is, expensive isn’t always the better one. 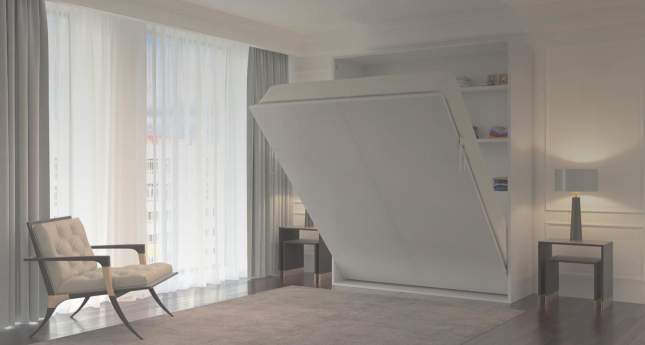 Wall beds and their place in the home has always been a concern of ours, for the fact that the wall be opens down into the room suggests that the space in front of it needs to be free of any other furniture, and there’s the rub, if you have that amount of free space why would you need a wall bed? The trick to making a wall bed space efficient to have the use of that space until you need to open the bed. 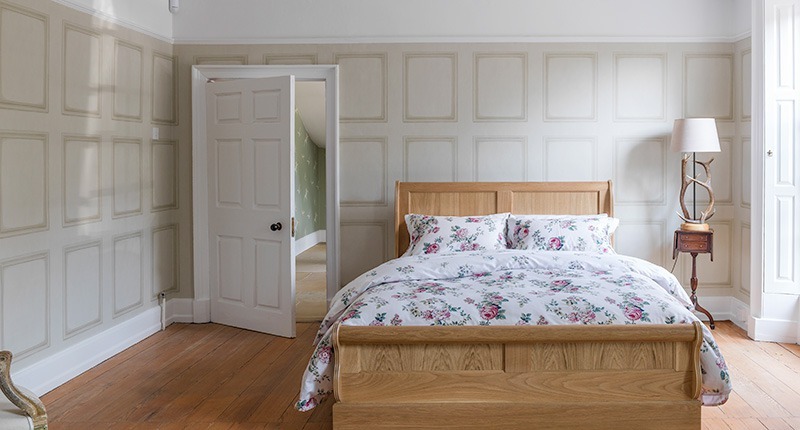 We believe in keeping things simple, so our wall bed range is made up of just one design, that’s fully customizable with numerous colour and finish options to the outside frame, door and internal fittings. We use paint, real wood laminates and solid wood, you can mix and match all three if you wish. Our wall bed is available with a smooth easy to open manual opening mechanism. Other wall bed options include shelving, you can have 3 shelves on the door, a desk and a shelf which is perfect for the home office. The desk and shelving stay flat when opening the wall bed so you never need to remove the items when making the bed. We’ve really enjoyed developing what we believe to be one of the best wall beds available, the combination of brilliant design and function make our wall beds a pleasure to live and work with, to complete the wall bed experience. Our latest design can be seen below. Model II, its got storage and shelving built in, not only does it look great it has massive storage inside for pillows, duvets and so much more. Model II is 600mm deep so co-ordinates very well with existing wardrobes and fitted furniture. Lifestyle shot of either and interior designer using your products along with other products from different websites, pairing options and design tips. Link to web page with all products used.